Last week I discussed a few of what I see as the key archetypes for villains in literature and pop culture. I had a lot of fun researching it, but the discussion left me wondering what separated my favorite villains from the rest. In other words, what makes a good villain. This question may seem fairly subjective, but in reality I think there are several plain and simple guidelines for at least starting a well-crafted villain. Let’s dive in, shall we? Spoiler warning: As villains are occasionally not revealed until big plot twists, this post will have a few spoilers. I think the biggest spoiler would be for Avatar: The Last Airbender. Legend tells of people who have never seen Star Wars. If you are one of these magical unicorns, and plan to see said movie, you should probably avoid this post. To actually earn the title of villain, a character’s goals must be in direct opposition with the goals of the story’s hero. This is how the author creates great story conflict. However, while being in conflict with a hero, a villain can also serve as the hero’s shadow. By this, I mean a villain can offer a sort of alternative to the hero’s path. For example, take the relationship between Frodo and Gollum in the Lord of the Rings. Gollum’s goal directly opposes Frodo’s: one wants to keep the ring for himself, while the other wants to destroy it. 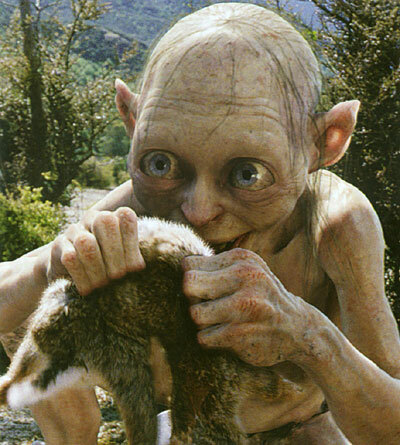 However, Gollum’s path has many similarities to Frodo’s; he was once a person from a simple life, he carried the ring, and the ring corrupted and twisted Gollum. He serves as both a source of conflict, and a warning of what Frodo could become should he succumb to the ring’s influence. See? He brought master a present. Roadkill. If our villain is weak and ineffective, perhaps beings all talk with no show, they are far less sinister than a villain that actually gets things done and strikes serious blows against the hero. Strength can be defined in many ways. A villain can be physically strong, have a large force/army, be intellectually brilliant, or be masterfully manipulative. As long as they score some visible victories against the hero, the stakes stay high and the conflict feels more genuine. 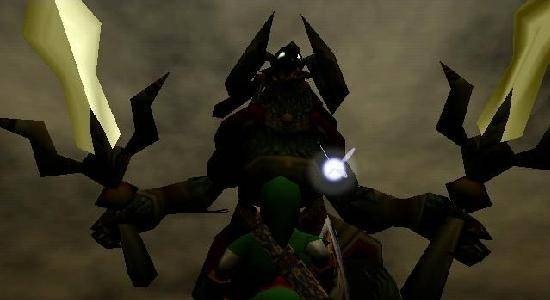 I often find video game villains (also called “bosses”) to be a great example of this, probably because the player is the hero (presumably) and has to fight the villain personally. If the villain isn’t strong, winning the game will be hollow. The player actually has to work at it in the final boss fight for the game to feel worth it. The same can be applied to any story-telling medium. If the hero is not broken and bleeding (metaphorically or literally) because of the villain’s machinations, the conflict just won’t work. Ganon: holder of the Triforce of Power, villain, and occasional sous chef. This is true for any character. One-dimensional characters are boring and demonstrate sloppy writing. I offer the two main villains of the Star Wars original trilogy: Darth Vader and The Emperor. While slightly menacing, The Emperor is a fairly one-dimensional and boring character. His only motivation that we know of is to rule the galaxy completely. Darth Vader, however, presents a slightly more complex villain. We learn from Obi Wan in the first movie that Darth Vader was a former Jedi and pupil of his before turning evil. However, Vader is still kind of boring, walking around in a cape with a mysterious past and doing nothing more than threatening his crew. Things really get interesting in the second movie, when Darth Vader is revealed as Luke’s father. Vader even gets a redemption arc at the end of the series when he slays The Emperor. (Also, remember what I said about the villain playing the hero’s shadow? Yeah.) Today, Darth Vader is viewed as a great villain of film making. No, he’s not the greatest, but his story demonstrates the benefits of adding even a small amount of complexity. There are many villain stereotypes, and while using a stereotype is not always inherently awful, how that stereotype is treated can mean the difference between an actual harmful stereotype and an interesting subversion. Clichés like the evil stepmother, the black brute, or the sociopathic killer, are just a few examples of tired tropes that have really done harm to the reputations of women (particularly stepmothers), black men, and people suffering from actual mental illness. As writers, we should always be conscious of what stereotypes we’re enforcing for this main reason. Also, clichés are just bad writing. If I, as a reader, am introduced to a moustached gentleman in a cape, I will automatically think he’s not the villain because that cliché is so old. If he is the villain, I’ll lose interest fast. Doing the same thing over and over again with the same tropes is boring and unimaginative. We can do better. If we think of villains as like our other characters, deserving an equal amount of development, character progression or regression is a natural choice for adding interest. This is called being dynamic and it’s one of my favorite characterization tools. Despite what we may think, a villain turning good is not the worst thing in the world. Likewise, a villain regressing further into evil can also make for interesting story telling. The point is, over the course of time, a villain should change a bit, as we would expect of our hero. 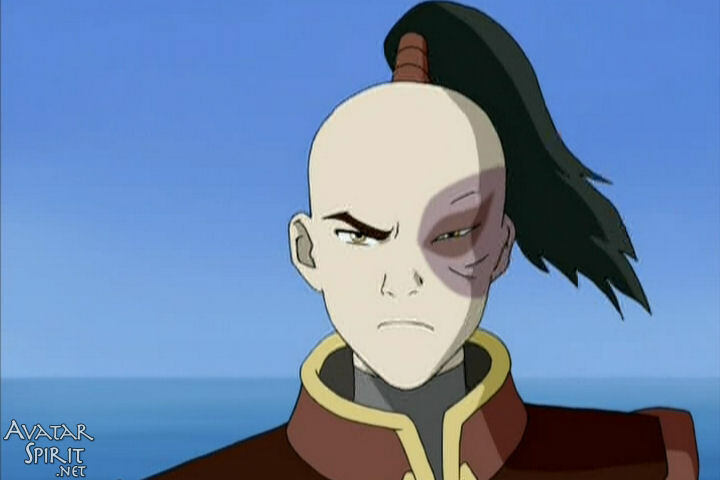 Zuko, from Avatar: The Last Airbender (a fantastic and often overlooked cartoon series) is a great dynamic villain. At least, he starts off as a villain. Then we as the audience witness Zuko come to terms with what he wants in life and his issues with his father. In the end, Zuko changes course and decides to not serve his father but to join the Avatar. It might sound cheesy, but it’s actually a really satisfying character development. Zuko is impartial your judgement. So, I think that’s it for my Villains series. That is, unless I get some requests to further the discussion. Have you read Ursula Leguin’s essay, “The Child and the Shadow”? She is a “must read” on this topic! Her classic Earthsea trilogy makes it clear that the hero and and the villain are both within us all, and that our shadow side is as necessary to our existence as our “Sun” side. She points out that it is important to name and recognise our shadow side so that we may grow stronger It is often the insight that the hero receives as he enters the darkness, and he must accept that part of himself to grow. Luke must accept the fact that Vader is his father and love that part of himself to become whole and become a true hero. That is what the journey is all about. If you have not read Leguin’s “The Left Hand of Darkness”, it is worth a try. She is a master! I have neither read the Child and the Shadow nor The Left Hand of Darkness. Both are now on my reading list. I do love Ursula K. LeGuin, though. The Earthsea trilogy was great, and every time I hear her speak I’m more impressed by her awesomeness.